Running and walking – Life! 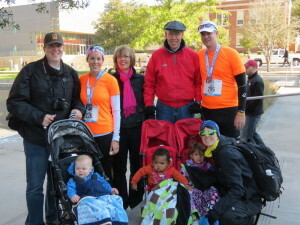 In October, we went to Dallas to watch Andrew and Kristina run in a half marathon. 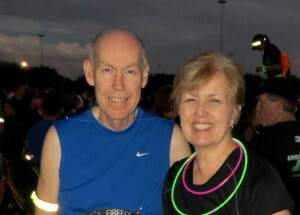 They did great and finished faster than they had anticipated. 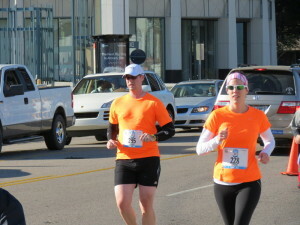 Their matching, bright orange shirts made then easy to spot when we stopped to watch along the route. 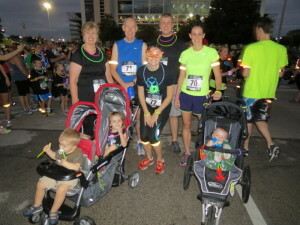 A few weeks later, those of us living in Houston participated in the Firefly Run. Brian and I walked it. 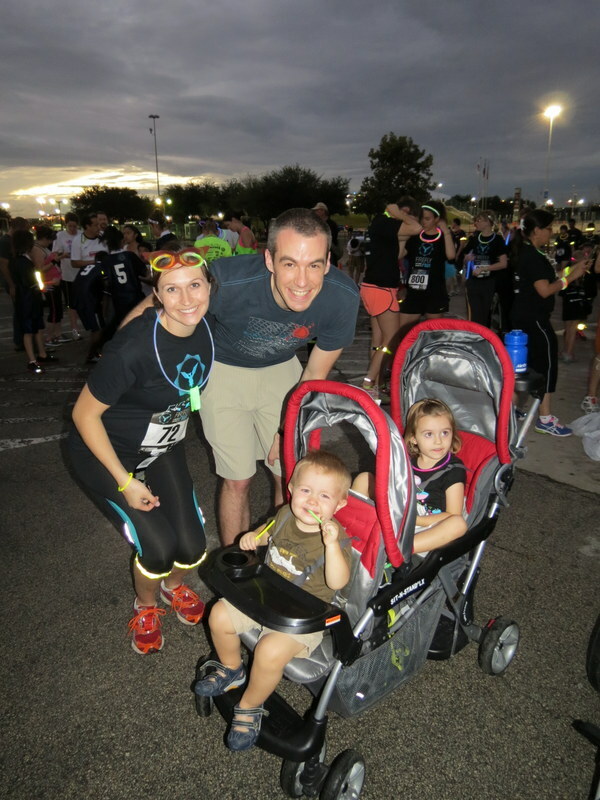 Rick, Stacey and Kristina ran. Henry rode in his stylish jogging stroller and Alex, Ellie and Daniel cheered us on. 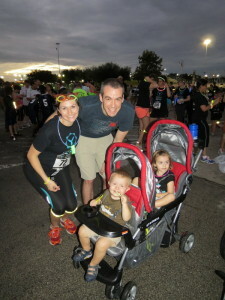 It was a fun family event although the route around the Reliant Stadium parking was not very scenic. 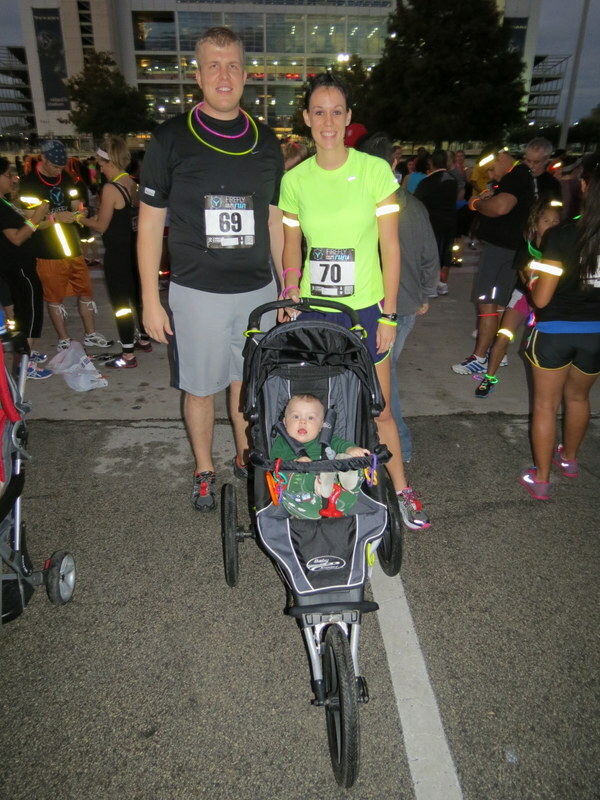 These photos are making me eager to have this baby, get back to running, and do some more races. Thanks for posting!